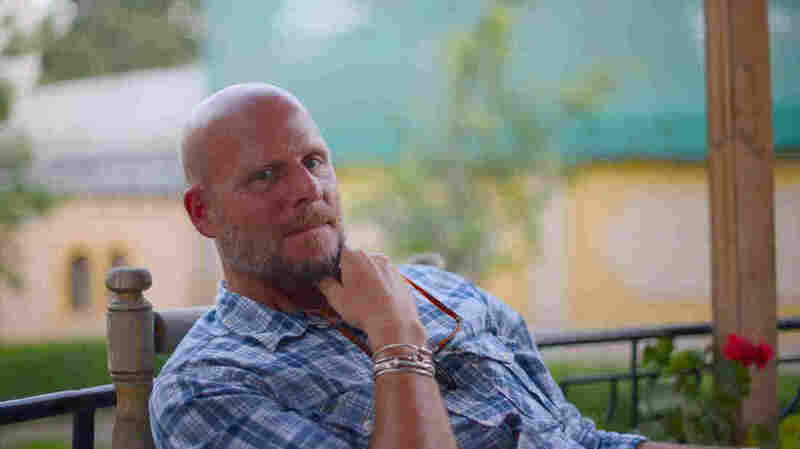 David Gilkey Was 'An Incredibly Thoughtful' Photographer In The Midst Of Plight NPR's Jason Beaubien says David Gilkey, who died this week in Afghanistan, had a talent with his camera for distilling unfathomably large disasters into human-scale stories of grief and loss. 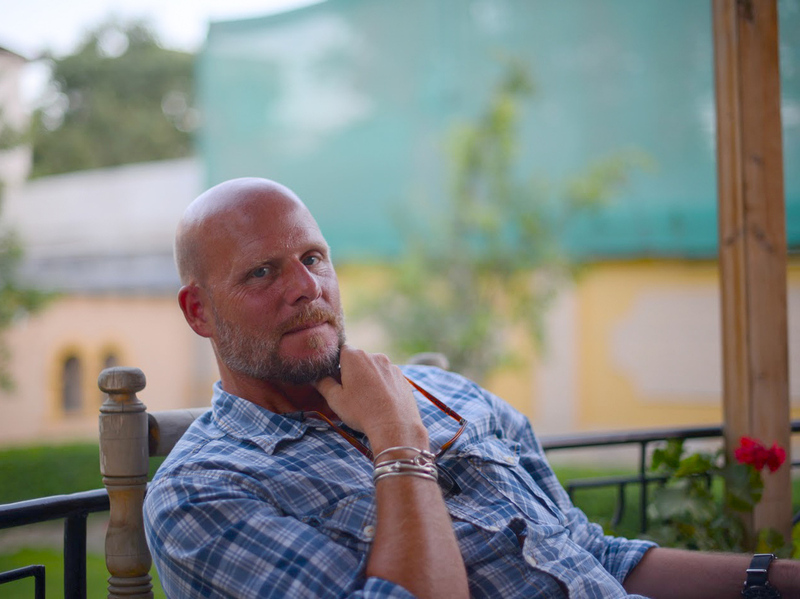 David Gilkey is seen in 2013 at NPR's Afghanistan bureau as he started a month in the country. David wore silver bracelets on his wrist as a kind of good luck charm. He said every time he had a near-death experience, he let one go. He threw one into the Euphrates River after the second battle of Fallujah. Another went into the Helmand River after he covered the arrival of U.S. Marines in 2009. I first met David at a departure gate in the Miami airport. It was January 2010, and Haiti had just been hit by the devastating magnitude 7.0 earthquake. The Port-au-Prince airport was heavily damaged, all flights were canceled, and we were trying to figure out how to get there. It was the start of what I came to call my "Travels with Gilkey." We did multiple trips that year to Haiti to cover the immediate aftermath of that quake — and later the slow, slow process of rebuilding. We also caught a military cargo flight into Tacloban in the Philippines after it had been shattered by Typhoon Haiyan. The flight landed in the middle of the night. We tried to sleep under a tarp next to the runway but ended up lying there awake. "The most bizarre thing last night was getting off that plane," he said to me as the sun started to come up. "Because when you got off the plane and you walked over to the terminal, there was some sort of light behind it, so it was backlit like a haunted house. And you realize there are probably a thousand people there cowering under plastic because it was raining. "I turned on my headlamp and all I saw were eyes — did you see that? Really weird. I've never come in anywhere where — like, even in Haiti, where ... we sort of knew where to go to set up a base. And this really was ... we still don't have the foggiest idea what we're going to do." Our lives seemed to converge in some of the most difficult places in the world — in the midst of disasters, disease outbreaks, wars — and David was always ready to jump right in. He'd say, "Hey, man." And off we'd go. Physically, David was big, and at first he could come across as gruff or imposing. He shaved his head and often sported a short beard. But underneath his burly exterior he was incredibly thoughtful, and very sensitive to the plight of people we were trying to cover. We covered the 2011 tsunami in Japan and the ensuing Fukushima nuclear disaster. In the aftermath, David and I walked through a field of rubble. "This guy goes riding past me on a bicycle," David recalled in an interview on NPR a few months later. "And I just kind of watched him go off into the distance. He went sort of climbing up into the remains of this house, and I went over, and he picked up this shoe. And he just held it up and he started crying. I wasn't taking pictures, and he said, 'This is my mother's. This is all I have.' "
Eventually, after we'd interviewed the man, David snapped, in his words, "a couple of frames" — and those frames captured the enormity of this tsunami. They took an unfathomably large disaster and distilled it down to one man's story, one man's grief, one man's loss. Those shots also showed his style. They showed how he engaged with the people we were documenting. He would do that on story after story. We often just referred to him as "Gilkey." "Who you traveling with?" "Gilkey." "We've got some Gilkey photos to go with the story." "Where's Gilkey flying in from?" He was a quirky guy to travel with. On all the trips we did to incredibly hot places, he always refused to put on sunscreen — even when his shaved head was peeling and red. But then at night he would pontificate on the secrets of skin care in the desert: "Moisturize, moisturize, moisturize!" He viewed frequent flier miles as a competition, which I always was losing. He loved to tell the story about the time he cashed in 100,000 miles or something like that, and upgraded to a first-class cabin on Emirates where you could arrange a shower and order a medium-rare steak from a giant touch screen in front of you. Just days before that, he'd been embedded with U.S. forces in Afghanistan, eating PowerBars and sleeping in the dirt. He wasn't a cowboy. Some might think that anyone who spends that much time in war zones must be cocky and believe they are invincible, but David wasn't that way. He knew the dangers. He thought about the dangers. He saw the people being blown up and killed around him. Speaking to Scott Simon in 2010 after seven weeks in Afghanistan, he questioned whether he was pushing his luck. "I go back and forth between Afghanistan every year. I went to Iraq every year," he said. "And it was always the question among the journalists, I think: 'When you leave, do the dice reload? Or are you just stacking up bad karma?' And I don't have an answer to that." David didn't just do war and disaster photography. He shot a travel series on Siberia, covered the U.S. elections, did a project on gray wolves in Montana. On a trip to Cuba he defied his editor's anti-cliche edict and shot a sequence on vintage cars — photos the editor ultimately loved. Recently he'd told me that he felt it was getting harder and harder to cover the world's wars and armed conflicts. He often talked about how important the war in Afghanistan was, but how it might get to the point where you just couldn't cover it. His dedication to that war already had cost him dearly. He'd watched relationships fall apart. He'd lost friends and seen others badly wounded. On Sunday it cost him his life. David Gilkey was 50 years old.